It may not be apparent at first glance, because of the zaniness of the facades, but Mickey's Toontown actually has some pretty interesting architecture. In the uptown part, on the west side of the land where guests first come in, the facades are bunch together, more commercial, and create some interesting (though small) avenues and spatial pathways. 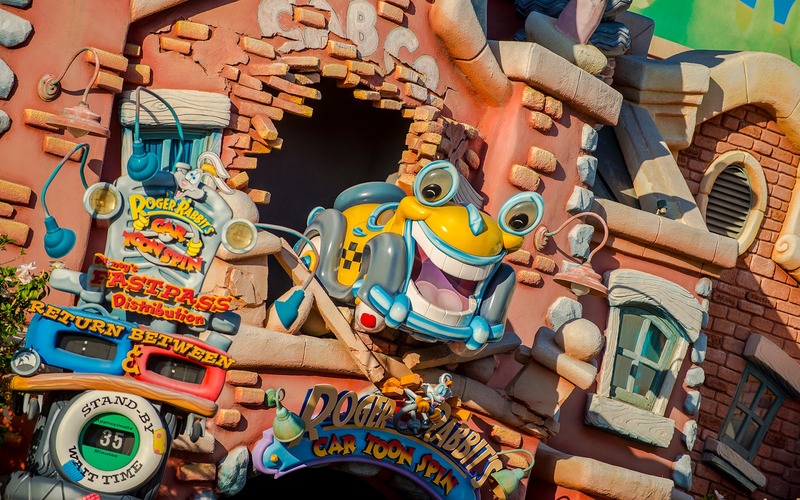 Things open up a lot more on the west, which is more residential. 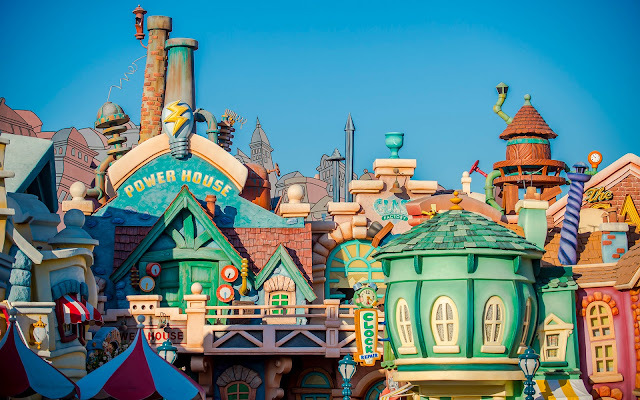 But the whimsical architecture is still fun to behold, and I imagine it must have been incredibly challenging to both draw and construct this land, where hardly any straight lines exist. Mickey's Toontown may not receive a lot of love, as evidenced by some of the more faded paint and decommissioned attractions, but it's still got its own charm. 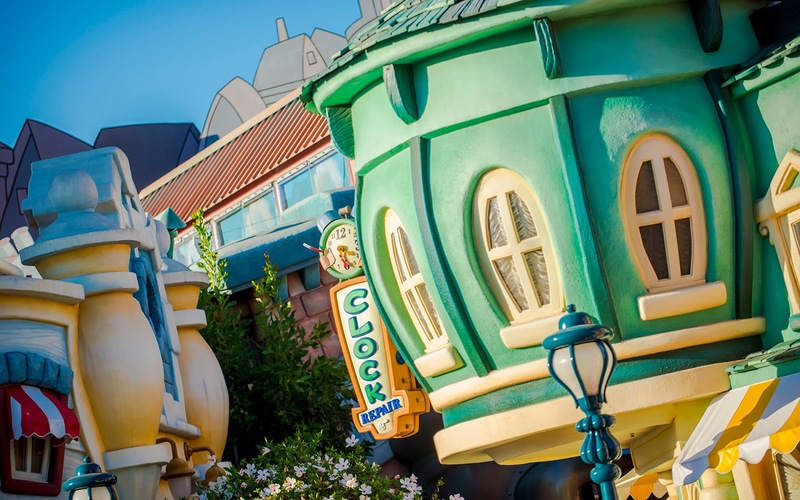 The "city" side of Toontown is aesthetically hustling and bustling. 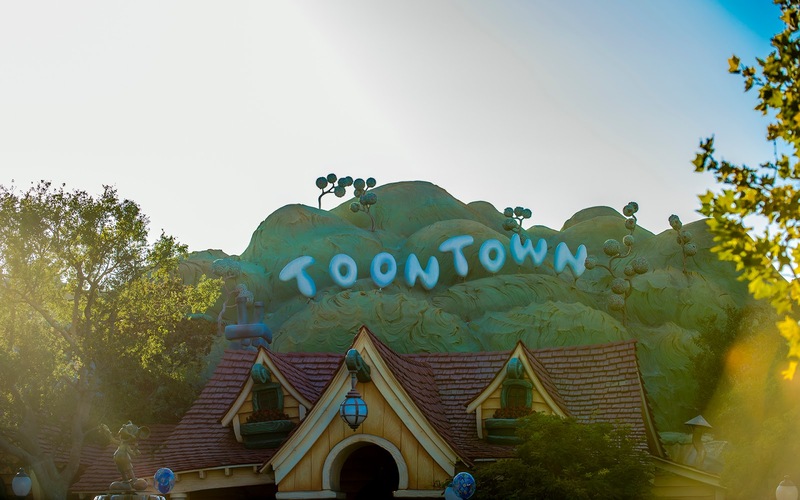 Toontown's rolling hills behind Mickey's House. 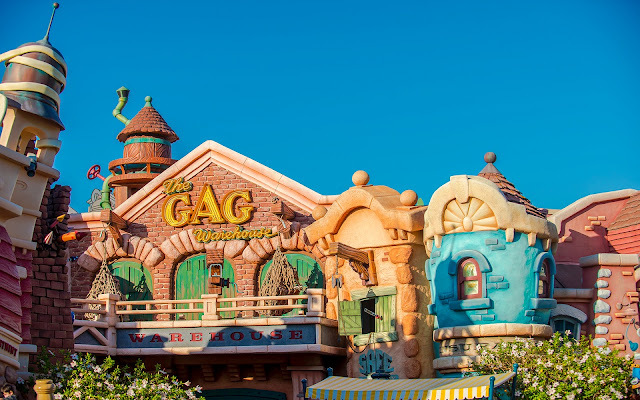 The Gag Warehouse is kind of a blast--literally. Roger Rabbit's Cartoon Spin still commands a line, despite its presence in the back of the park. This is just a fun area to zoom in on the details.